How Long Does Botox Really Last? Botox is a temporary solution for smoothing out the areas of the face that are most prone to wrinkling such as the eyes, forehead and mouth but how long it lasts will vary from person to person. Overall, patients can expect the effects of their Botox treatment to last for around 4 – 6 months. These are the factors that will determine how long the results of your Botox treatment will last. – Botox dosage: The more units of Botox your muscles receive, the longer your results will last. But again, every person is different, which is why treatments are tailored to each patient’s muscles. It can sometimes be difficult for a technician to gauge a patient’s muscles during their first appointment but as the patient returns for repeat treatments, the technician will have a better idea of the dosage required. – Botox dilution: Before Botox is administered, it needs to be diluted with saline, which makes the treatment safe and easy. If the Botox is over-diluted though, it can cause the results to wear off faster. – The patient’s muscles: The strength of a patient’s muscles will also determine how long their results will last. Patients with weaker muscles don’t need to book as many follow-up appointments because the muscles don’t fight the injection sites in the same way that stronger muscles do. Bulky muscle also metabolises Botox faster than smaller muscles. – Botox usage: Patients who have been using Botox for some time will find that their injections last longer. In some cases, long-term patients can enjoy their results for up to 9 months. – Technician’s skills and experience: You should only be scheduling your treatments with an experienced and skilled technician. Not only will they know exactly what dosage to but they’ll be working with the right equipment too. Receiving Botox treatments from an inexperienced technician can lead to a lot of complications. Make sure that when you schedule an appointment at a Botox clinic in the Gold Coast that a board-certified plastic surgeon will perform your treatments. – Botox storage: Botox needs to be stored in a cold environment and once it’s removed, it will only survive for up to 4 hours. Botox that has been out of a cool environment for too long won’t last as long. – Physical activity: Athletes have a higher metabolism than people who don’t exercise as often and their bodies will be able to heal injuries quicker too. It’s for this reason that Botox is often seen as an attack on the body so it works harder to dissolve it. – Sun damage: It should be noted that Botox is used to smooth out general wrinkles that occur as you age. Wrinkles that have been caused by sun damage can’t be treated. 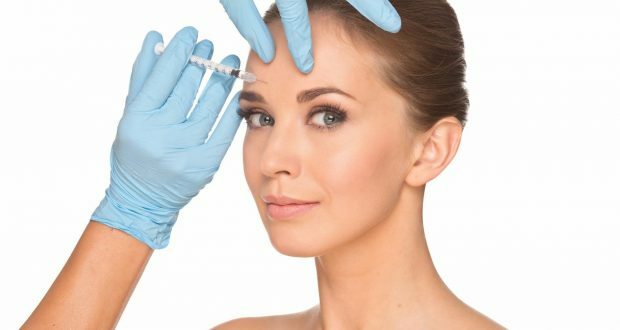 Botox patients can expect some mild swelling and bruising in the areas where the Botox was administered, however, these side effects won’t prevent you from engaging in your usual activities. Results from your treatment can be seen after a few days but some patients may have to wait up to 2 weeks.